Julie is a former Grade 3-12 classroom teacher and currently the Digital Learning Coach for Groton Dunstable Regional Middle School. 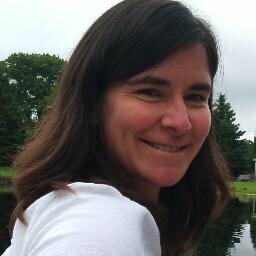 She is a Google for Education Certified Trainer, Common Sense Certified Educator: Digital Citizenship, co-organizer of Edcamp Grafton & North Shore, MakerSpace enthusiast and presenter at MassCUE and Christa McAuliffe Technology conferences. She delivers professional development in and out of the district and supports teachers in the meaningful integration of technology in the classroom. Julie is an adjunct professor at Fitchburg State University. You can contact her via email and Twitter @jaspang.